I was in Tokyo back in May, and I came back with a Sailor Moon themed face mask. That face mask kickstarted me back into a skincare binge. I started buying more face masks. I discovered soon after SokoGlam.com, an online Korean skincare store. They market Korean skincare products to Americans. What I love is that they include a list of all of the ingredients and customer reviews, so you can get a clear picture of what you'll be getting. My skin type is typically dry with oiliness in the T-zone during the summer. I generally get blemishes on my forehead. This is a gel moisturizer that I've been using at the end of my nightly skincare routine. After cleansing, toning, and essence, I finish off with this moisturizer. I am a fan. It's light and a great moisturizer for summer. It's not too sticky or heavy, but it keeps your skin supple and glowing in the morning. I'm still not really sure what toner does. I hear that they "prep" your skin for the next step, which would be essence, face mask, or moisturizer. So I've been convinced that I need toner in my life. I've learned that toners tend to have alcohols in them, and I have dry skin so I tend to skimp on toner. But I still feel like I need toner, so I got this one that lightly mists the face. Does it do anything? I'm not completely convinced that it does, but it does refresh my face mid-day. This a face sunscreen. 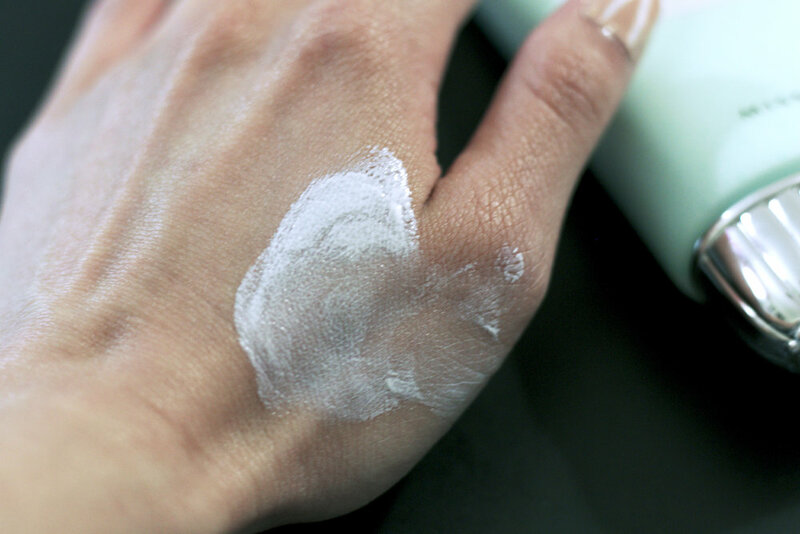 This is a physical block, so it leaves a bit of a white cast on your skin. You do have to work it in to make the finish sheer, otherwise you look like a ghost. I use this one for those intense sunny days where the sun is blazing hot. I used this to the beach as well. It feels like nothing on the skin, though. The scent is also light and fresh. Bottom line is that I'm not crazy about this one due to the white cast. I've found better sunscreen that is SPF 50+ with no white cast whatsoever. If you are someone who likes to brighten your skin, the white cast will work in your favor in addition to UV protection. This holds back my hair from my face while I do my skincare routine. This headband is absolutely adorable. I mean, look how cute the ears are!